Cllr. 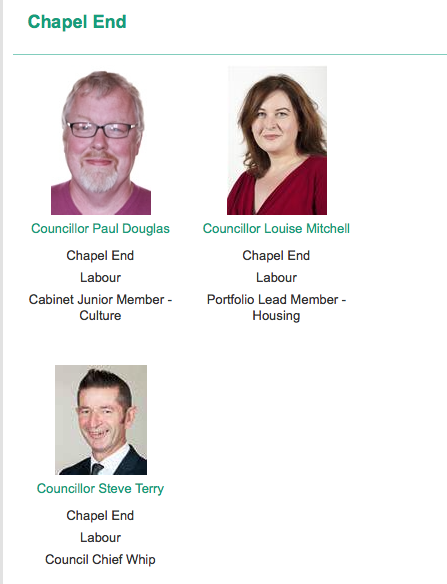 Steve Terry is Waltham Forest Labour Group’s Chief Whip, and works as a regional organiser for Unison. It is reasonable to conclude that, occupying such weighty offices, he must be an expert on the minutiae of procedure, and a stickler for respecting the rule-book. The fact that he is a regular confidant of LBWF Director of Governance and Law, and Monitoring Officer, Mark Hynes about all things Labour also speaks volumes. Nevertheless, examining Cllr. 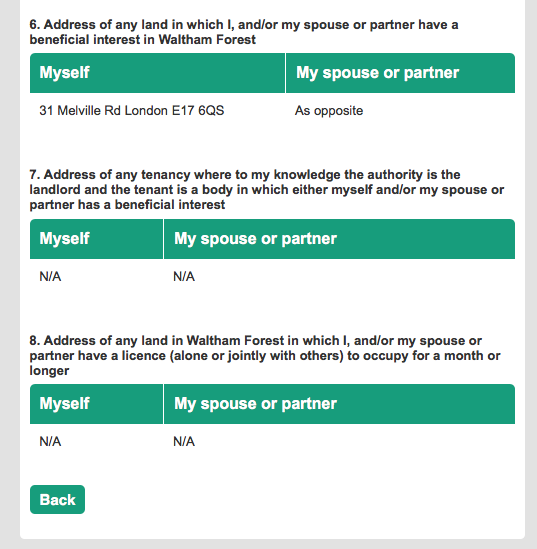 Terry’s register of interests as of this morning prompts some interesting questions. As a result, residents are robbed of knowing some important information about Cllr. Terry’s wider preoccupations, and of course that is an important handicap in assessing whether he is carrying out his Town Hall duties diligently and without favour. So here Cllr. Terry is telling us with admirable clarity that, at the last local election, to take one example, he received no financial help other than from a political party. For now it is not just the Labour Party that is contributing to Cllr. Terry’s electoral costs but also ‘Paul Douglas’, who coughed up £168. All told, it’s a mess, and it’s fair to say that Cllr. Terry seems to have become confused. That said, there is no suggestion that he has deliberately sought to mislead. Indeed, since Cllr. Terry is proven to have last updated his register of interests form as long ago as 19 June 2014, the odds are that Mr. Hynes (who as Monitoring Officer has responsibility for councillors completing their register of interests fully and to time) will judge what has happened as yet another ‘genuine oversight’. One thing is clear, however. The LBWF constitution requires councillors to keep their register of interests up to date, and Mr. Hynes has provided extra training to ensure that they do. Yet as this blog has shown, in case after case councillors take not the slightest bit of notice. That Councillor Terry, no less, a Chief Whip, should appear to belong to the latter camp says everything that needs to be said about how far the rot that has spread in the Town Hall, and the contempt that so many there have for the public. Apprised of the facts in this post, LBWF Director of Governance and Law, Mark Hynes, has judged that Cllr. Terry is fully compliant with the current register of interest protocols. His reasoning will be explained in a post to follow shortly.